An 8-yearlong study, published in the Journal American Journal of Clinical Nutrition, has found that regular consumption of fried potatoes is linked to an increased risk of death. As with most things, eating in moderation is the general rule of thumb. An 8-yearlong study, published in the Journal American Journal of Clinical Nutrition, has found that regular consumption of fried potatoes is linked to an increased risk of death. French fries are obviously not the healthiest snack to binge on (deep fried potatoes plus loaded with carbohydrates), but the findings of this new study make it a bit more complicated. As shattering as it may sound, but those delicious fries that you enjoy quite often may put your life at risk. Foods like French fries that are high in fat and refined carbohydrates are likely to be additive but weight gain is not the only health risk they pose. A team of researchers analysed the eating habits of more than 4,400 people in North America who were between the age of 45 and 79 years. They kept a track of how often the participants ate fried and unfried potatoes during the course of the study. It was noted that 236 people died by the end of the study. 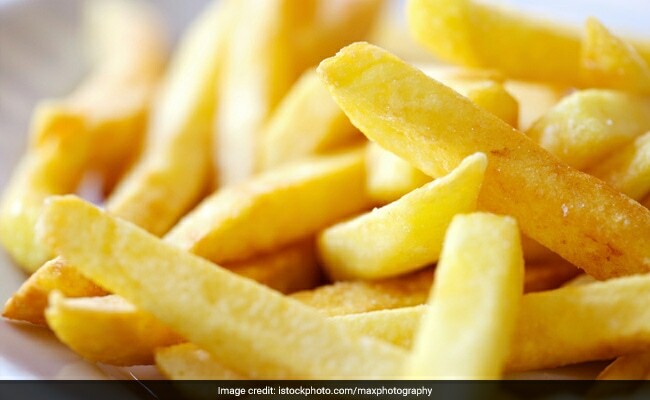 Researchers revealed that participants who ate fried potatoes - be it at restaurants or homemade fries or in the form of hash browns, twice a week or more had double the risk of early death than those who did not eat fried potatoes at all. It is important to clarify that the increased mortality risk was associated with the regular consumption of fried potatoes and not potatoes in general. Therefore, participants who ate boiled or grilled potatoes did not face any health risks. Potatoes are packed with fiber, magnesium, potassium and antioxidants. They have no fat, sodium or cholesterol and so, they are not really unhealthy. But, it is the way you cook and consume them that makes all the difference. The study only finds an association between consumption of fried potatoes and an increased risk of death. It does not suggest that they can, by themselves, cause death. There can be many factors at play here such as high consumption of fried foods, the quality of cooking oil used or perhaps the effect of frying on the nutritional value of potatoes. Therefore, more research is required to validate these findings. Some previous studies indicate that when certain foods are cooked at high temperatures by frying they produce a chemical called acrylamide which may be a potential cancer-causing agent, although the effect of acrylamide on human health is not definitive yet. As with most things, eating in moderation is the general rule of thumb. Another way to get around the health risks of consuming too much fried food is to bake them. If you're worried that baked fries wouldn't be as crispy as the ones dipped in hot oil, use this quick trick. Mix some olive oil, sea salt and pepper and rub it all over the fries before you bake them in the oven. This will ensure a crispy skin and fluffy insides and you can even feel good about eating them.